This piece was actually first drafted as a paper for one of my American History graduate classes. 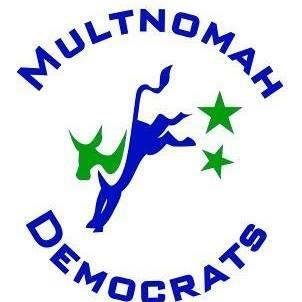 It was requested for the Mult Dems letter, however, and so ended up being published there. As industrialization began to flourish in the United States, the way that Americans made a living shifted drastically. While people still worked in professions, and as artisans, many more began to work for employers for wages, in environments that were often unsafe, exploitative, or in other ways subjected them to unfair working practices. While many workers were helped by the advent of unionization beginning in the early 20th century, most of the legislation that came from these reforms looked at workers through the lens of men as the family breadwinners without taking into equal consideration workers who were children, women, and disabled people. Since many of the laws passed that greatly improved the lives of able-bodied adult male workers were signed decades ago, there is a resistance to further legal protections that would support these groups. For much of human history, children worked alongside their parents on farms, in cottage industries, and as apprentices in trades. Since the founding of this country, the idea that children should work to earn their keep has been very popular and this notion, in conjunction with a fear of idleness spoiling or ruining young people, led to laws and statutes requiring parents to provide a certain amount of useful labor for their children, or to send them off to work as servants or apprentices elsewhere.” Indigent youth, those who were orphaned, or children of poor families were provided for by being taken into workhouses and taught trades, as far back as Jamestown and the Massachusetts Bay colony, to prevent them from becoming a drain on society. Indeed, until the end of the Civil War there were almost no functional child labor laws, and the first laws, like the one written in 1842 limiting a child’s work to only 10 hours a day, and another one in the same period requiring a minimal amount of schooling almost never being enforced. These works were created during my study for my MS in Education or my graduate certificate/MA in US History. As always, if something interests you, you'd like to share research, or you'd like me to write something related, please contact me via email.